As we started this year with the finalization of our next major release, the Survival overhaul, we kicked off the public tests with our community. You can see my blog post about it here: Public Tests for the Major Overhaul of Survival. The first public test ran on 17th of January, 2019 and today, I’d like to reflect back on this first test. We have received over 1000 responses from you, our players during this first test. Taking into consideration that the test ran only for 24 hours, it’s great to see this high number. Our team has reviewed your feedback and made several important changes. Let me focus on the changes we introduced based upon the feedback we received during the first public test. These changes are already implemented in the new build, which is going to be available for tomorrow’s public test. We have added shared progression in the faction so it’s more user friendly and easy to understand. We have rebalanced the Hydrogen Engine and we have increased the internal hydrogen capacity. The general Progression Tree has also been improved. New Progression UI has been put into the game. The spawn system toggle for new features has been added to the world settings. The second test is planned to start tomorrow, January 31st, 2019 at 10am (UTC). 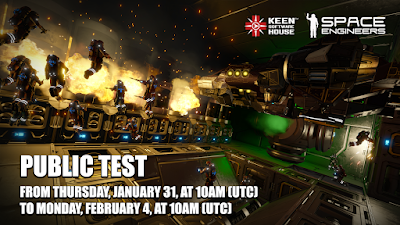 We are extending the testing window until Monday, February 4th, 10am (UTC), so you’ll have plenty of time to enjoy the new build and give us your feedback. If you are interested in our review of 2018 and plans for 2019, you can read my recent blog post. Thank you very much for taking the time to read this blog post. I hope you’ll enjoy new features! Hello, thank you for the awesome updates and for the continued development of SE. I love it! Some researchers on Reddit found Ladder2 in the new files, so i was wondering if a 'surprise' is coming, :wink: :wink:, also have you considered the current cargo space of the survival update is kinda low. From my point of view it would certainly make all the blueprints that are currently on the workshop that were built with x3 or x10 inventory space obsolete. Whatever you decide it's fine by me, but i'd appreciate more cargo space / container. All the best. This is actually exactly why I design ships for realistic inventory sizes. If a design only works for x3 inventory or higher, it's a bad design. If a design works with realistic inventory it will be EVEN BETTER with x3 inventory. I wouldn't mind expanded inventory settings as much if it didn't also scale the weight of cargo. This way I could spare myself the tedium of working with realistic inventories, but the relevant maths wouldn't change. A ship the size of an escape pod should NEVER be able to carry enough parts to build a mothership. Or anything larger than itself. Please keep 'realistic' base cargo values at least halfway realistic and just have the cheat options for those who want it. Sorry but this is simply false. You can easily (in real life) build a vehicle that could transport the materials to make another of itself or even something bigger. The component parts will always be far smaller than the finished construction, especially if the finished construction has a lot of air space in it. My computer, for example, isn't a solid block. It's got tons of air space in it. SE constructions are the same. Why do none of these updates ever talk about PERFORMANCE? Big server owners need these changes. Asynchronous joining and quitting. Better object streaming for spawned prefabs. These events cause enormous amounts of lags for crowded servers and it needs addressed. While you're at it, better multithreaded performance for most of the block simulation in the game would be nice, since so much of it absurdly runs on the main thread, especially turrets, which can so easily be put to sleep when no targets are around to save tons of server resources. @Michael Estepp, never said anything about being able to carry components for motherships, but at least x3 cargo would be proffered by a lot of the community members. Let's not forget it's a sandbox and we should have options at game settings for everything, it would be weird if all of the community would play by the rules of the few. I have been enjoying SE since before connectors, and have had fun even through the worst of the clang. That being said I often find later game lacking in challenge, I look forward to the defend the becon game mode, and am wondering if there are any plans for scaling adversaries in main survival? Maybe tied into the number of blocks a faction owns and tech level. yeah that would be good, The challenge tends to be too much early on but by the time you get a large ship the only real problem you face are the district pirate bases having a real dynamic foe like in the space sappers mod when it was still around. but yeah after disabling the adjacent easy start pirate base there really isn't anything to keep an eye out for as nothing actively seeks you out. I wish the small batteries were also rebalanced. 20% reduced output compared to the old battery is just terribad. As they were in the last test, the niche they fill is either absurdly small or nonexistent, depending on how much you care about "progression." I THOUGHT I would be able to use them to make my compact designs even more compact by using a more conveniently-shaped battery bank. It didn't work out this way, since using small batteries also requires you use 20% more space than the old battery. Compound that with the fact that power cells can't be salvaged. This means they are redundant from the moment they are available, so they aren't even useful for early-game. The way I see it, unless it's changed, it's a big waste of Keen's efforts. Problem is, tiny ships are generally built early game. Having a smaller battery that's not as good, means you can progress to building the bigger battery later on for bigger ships. Larger batteries being more efficient unfortunately makes sense for the general progression of the game. 20% reduced output for being a lot more flexible in placement? That sounds like bargain! I hope there will be no undepleted batteries this time. Its ruin survival aspect of the update. Progression tree should be changed. Now all technology is shown on G screen and you can see what block you need to do to unlock specific technology. In that way new players still will be overwhelmed by so many blocks/technologies. Better way would be if we see only unlocked technologies in G screen and on every block you will see hints for technologies unlocked by welding this specific block. Cheers. Can some one please tell me if the memory leak associated with voxel deformations has been addressed? 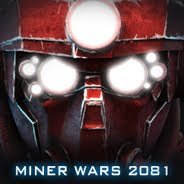 Having to completely restart the application every ten minutes during a mining run in hostile territory on an active server is a real problem. Additionally the leak shuts down windows processes one by one starting with programs like Streamlabs OBS making streaming next to an impossible task. I have asked this question in every medium available (including the official support center) and all I've gotten is ignored, or a smile and some non committal answer. Honestly all I'm looking for is a simple yes or no, I'd be satisfied either way. I been trying to enter the Beta Access Code but steam says it's invalid. It's a shame. I wanted to try it out and stream it. I want a taco... also looking forward to the next play tests and the final release of the update the debs have been working hard on, keep it up space engineers! yes!!! that is a brilliant idea I jumped at the idea. This is an awesome idea, I really hope that concrete is added as well!